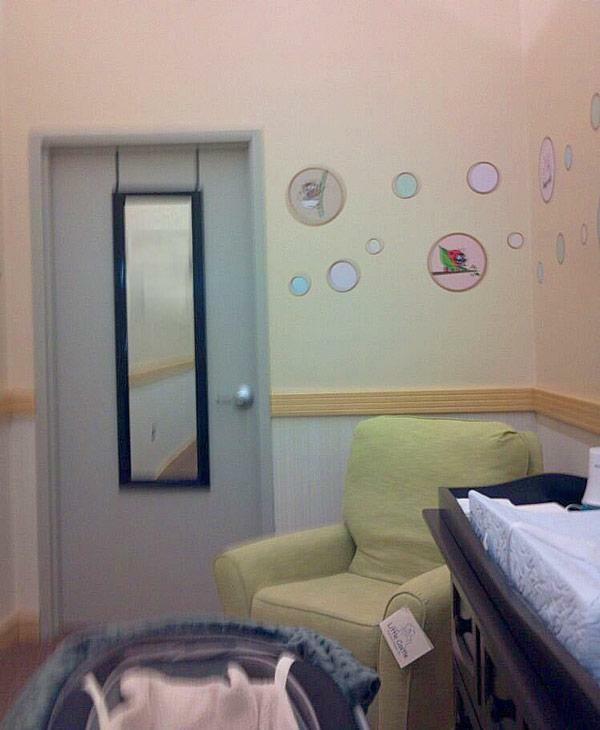 Buy Buy Baby in Downers Grove offer a low lit medium sized nursing room with a comfortable couch, closed door, a mirror, and baby changing table. Mom Ashley A. wrote: I wish their nursing rooms were a little larger though. I almost always stand in line here, no matter what time of day it is. Mom Glenda C. wrote: Super happy with the new nursing room! Also the employees there always are patient and knowledgeable.